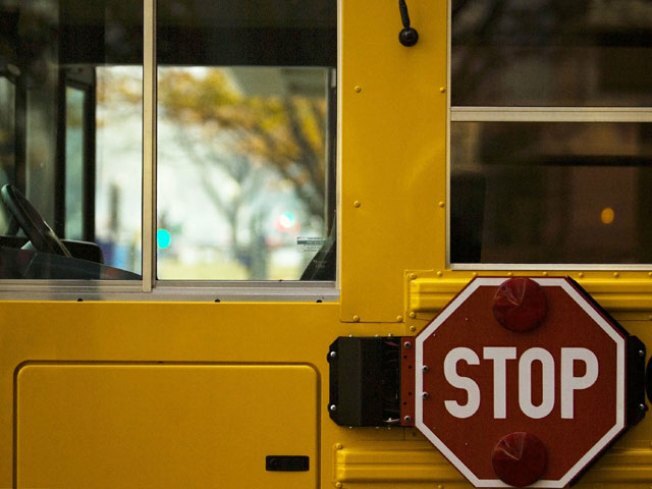 School children stood on seats as water filled their school bus, up to the bottom of their seats, in West Haven on Friday and police said their 71 –year-old bus driver should not have been driving. George Kornegay, of West Haven, has been charged with driving under suspension, reckless driving and 21 counts of risking injury to the children onboard after a frightening trip for the students. Roads were flooded in the area because of massive storms sweeping through the area on Friday morning and witnesses told police that Kornegay knocked over an orange traffic cone that was blocking Washington Avenue as he approached the bridge. Then, witnesses told police, Kornegay backed the bus up, drove over the traffic cone again and got stuck underneath the bridge. The West Haven Fire Department responded and the bus was towed to safety almost immediately after being stuck, police said. The children were put on another bus and sent to school without any injuries. Kornegay, who is from Winkle Bus Company, was charged with driving under suspension, reckless driving and 21 counts of risk of injury, one for each child on the bus. He will be released on a promise to appear in court.